The Manthan School has always trusted in investing with its students, making their educational experience more interesting and interactive. But not only restricting to students, the institute also adds more towards teachers and their learnings with the help of different seminars & workshops. This further enhances their skill while working with a child and give them, a better understanding of the growth. 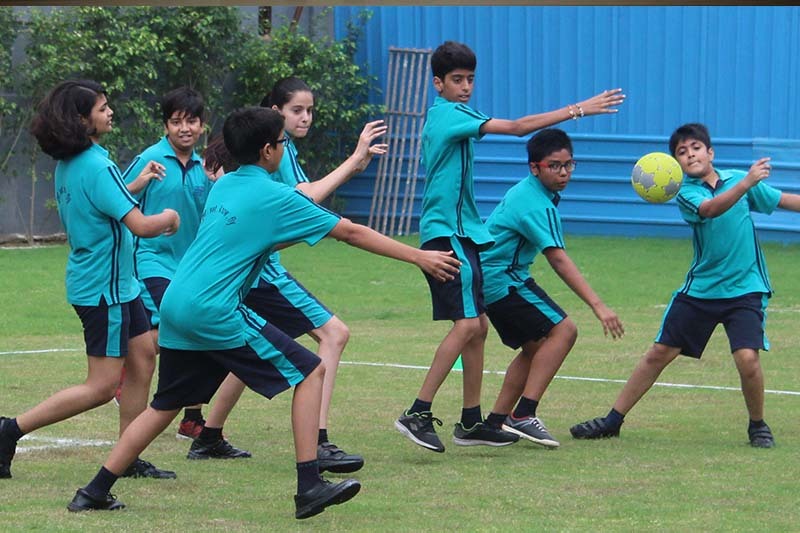 Ranked amongst one of the top primary schools in noida extension, the institute believes that every child is different & special, therefore deserves individual attention and support for overall development. The teachers make sure that children should not feel a point less than their home. Easy convenience is one vital factor which parents always keep at ease for their wards. They often prefer easy & short route for the child’s travelling to school so commuting won’t affect their academic & physical space. This quest for the perfect school also includes other factors like proper amenities for child to grow, experts guiding for different activities, and a learning atmosphere where the individual can explore its favorite areas of interest. All of this might look difficult to be imagined under a single roof but The Manthan School is the ultimate solution to all parents searching for an ideal institute for their children. If you are considering any nursery admissions in noida extension, then this is the place you and your child should be. Children are exposed to different types of subjects &events which further help them to develop their own interest in that subject and explore more about it. The Manthan School makes sure that the children are learning deep about their favorite subject and interacting with the same. This not only helps them to grow or learn about that subject but also to improve their communication and social skills. Children communicate their interest with people and friends around them which further help them to gain more in-depth knowledge about it.